We had the “crud” over Christmas vacation..so when we started feeling better..
it was JANUARY! Now…??? It’s FEBRUARY! Those of you on the East Coast…you know this best of ALL! All of these are available in my store…individually…BUT now available in a BUNDLE! AND an EXCLUSIVE Packet…only AVAILABLE in this BUNDLE! What a wonderful FEBRUARY BUNDLE! Fluency Word Practice for FEBRUARY! 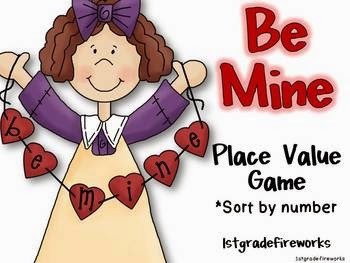 This entry was posted in Classroom Organization, Learning something new, Math | Science | STEM | STEAM, Reading | Writing on February 1, 2017 by 1stgradefireworks.